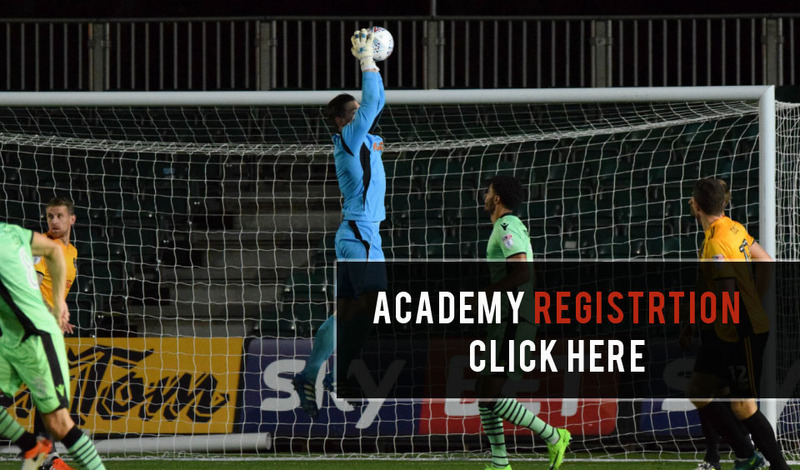 We are running striker-keepers camps this year as well and are interested in hiring qualified coaches of all kinds, not just goalkeeper coaches. Also, if you are interested in starting your own goalkeeping academy in Washington please contact Stephen Swanger as well. When I was a professional I was always asked to start getting my coaching badges and my answer was always the same, I never wanted to be a coach! However I come across Ray and J4K. After a meeting with Ray my mind was made up and I embarked on my Gk coaching pathway. The support I received from Ray and Paula was tremendous while starting off and from 2 weeks with 1 GK, 7 years on I now coach over 85 GK’s a week, I have been a Professional GK coach with Darlington FC, I am a Uefa B qualified coach and STILL receive all the support you could ask for from not only Ray and Paula but now the many J4K coaches worldwide. I run since 2010 Just4Keepers in THE Netherlands. Its really great to be part of the biggest goalkeeping organization of the world. Just4Keepers gave me THE chance to work fulltime as à goalkeepercoach. The nicest job on earth! Ray personally helped me out to set up à lot of things in Holland and is always willing to help everybody! I am very proud to be part of This J4K worldwide team. My name is Igors Labuts, 22 years old from Riga, Latvia. Meeting Ray and Paula Newland has helped me to take a great step in achievement of my dream – to become a professional goalkeeper and a goalkeeping coach. Cooperation with «Just4Keepers» – a company founded by Mr Newland and providing trainings and equipment for goalkeepers all over the world – contributed to development of my skills in numerous ways. Starting J4K has so far been the most rewarding decision of my career. It was hard work at the start gaining parents and clubs trust but once demonstrating the quality of coaching and word getting around, then more and more keepers attend my sessions every week. It is also brilliant to see how each keeper develops and make new friends whilst at the sessions helping each other out as a goalkeeper and within a social group of mixed ages. I now earn a full time income with J4K not only through the coaching but also through the quality J4K goalkeeping equipment that I sell. I now coach around 100 keepers every week with numbers continuing to grow, and this after only 2 years of being a J4K goalkeeper coach. Ray – Just wanted to take a minute to say thank you for all you have done in support of me and J4K of Northern VA. As I crest the 1 year in business mark I can say wholeheartedly I’d not have made the progress and experienced the success thus far without you’re tireless support and work. Starting with the videos to the J4K gear, you have done a fantastic job setting the stage and getting the framework in place for all the coaches to run a successful operation. I appreciate the consistent and encouraging words whenever I have had a question or concern. Not only has it been great to know you’re there to provide assistance, but also have the great relationship with the other J4K USA coaches is a huge benefit as well. It was fantastic meeting you this past summer at the ID camp and I’m looking forward to seeing you again this summer! Once again, thanks for all your help and support. I look forward to working together for years to come! Since joining Just 4 Keepers just over a year ago I have found that i’m enjoying my working life once again and this is thanks to Ray for his help. Since day one if i have any problems Ray or some of the other lads around my area have been a huge help in pointing me in the right direction to solve any problems that come my way. I would recommend Just 4 Keepers to any new comer as you will be guided in the right direction to become your own successful boss. I have been working with Ray since February 2010 and found him to be reliable, trustworthy, and true to his word. Ray will go out of his way to help you and support you in your business. He is responsive to new ideas, listens to points of views of others and takes feedback on board in order to improve future dealings. I became a Coach for Just4Keepers in July 2009 and started my first class with 8 kids attending. I now have 8 classes across Shropshire, Mid and North East Wales and coach approx 60 kids a week. After joining J4K I finally feel I am fulfilling my life’s ambitions and use my passion for goalkeeping and helping young aspiring goalkeepers develop to drive me forwards. This process has been made all the more easier because of the dedication and help received from Ray and Paula, from our first meeting up in Liverpool I was made to feel at home and was warmed by the hospitality and honesty that they both showed. It made my decision to join J4K an easy one, if I was to some up J4K I would describe the team as one big family and that is a refreshing change in this day and age. Its not all been plain sailing but with positive thinking and hard work I am starting to see the benefits, there is no better feeling than when you see your coaching and mentoring start to help and develop young children to become not only better goalkeepers but more importantly better people. Since joining Just4KeepersI I have been able to enjoy a much better quality of life. I came out of pro-football and I am still playing a high standard of part-time football in the league of Ireland, but I had to work a 9-5 job while trying to compete against full-time players… this was just impossible for me. Seven months ago I stumbled across J4K and noticed my old mate Ray Newland had been running this for 8 years, so I was straight on the phone to him and two days later I was on a plane going to see him. Hi my name is Riccardo Greco and I am the Just4Keepers Canada representative, I teamed up with Just4Keepers two years ago and I now have a well established and successful school in Canada. This would not have been the case if it was not for founder of Just4Keepers Ray Newland. Two and a half years ago I stumbled across Just4Keepers on the Internet and from that day on my life has never been the same. I remember my first emails to Ray they were very painful for me since I had no experience with computers so an email could take up to an hour to prepare. I remember asking him if we could talk on the phone and after a few weeks he agreed, that was the day that my family’s life changed forever. After 5 minutes of talking to him, I just wanted to grab some balls and start coaching there and then! But that was not to be Ray kept me on that phone for over a year talking once a week about everything you could imagine. Fourteen months later I was on a plane to England to meet all the J4K Coaches and the founder of Just4Keepers Ray Newland, one week later we put pen to paper and the rest, as they say, is history. Hi my name is Ross Harrower and i am the just4keepersScotland representative. I teamed up with just4keepers last year and i know have a very well established and successful academy in Scotland. Joining J4K, looking back, has got to be one of the biggest and best decisions I’ve ever made. Myself and Ray sat down on many occasions, had many phone conversations, and shared the odd pint. At the time I got on board I had a full time job, accommodation etc, and leaving all that was going to be a massive step. Ray assured me that the support network within J4K would make sure the change and transition as smooth as possible. At first i was skeptical, but he was right and very true to his word. My first month or so were an eye opener to say the least, problems with venues, weather, cars, you name it it went wrong, but with my ‘never say die’ attitude and Ray, Paula and the others coaches continued support available anytime online or over the phone all problems soon disappeared. Again this continues to this day and everyday spent with J4K. The ethics within the company are second to none. I have been working with Just4keepers for a little over 2 years and in that time I have found dealing with both Ray and Paula an absolute and pleasures. They are both very helpful and professional business people. They are honest and reliable people to work with and they are always happy to help no matter what the problem is. I have been a goalkeeper and a coach working with academy goal keepers , and its safe to say that not only is the J4k coaching methods forward thinking, they make learning the trade of goal keeping fun. I have used many different types of gloves, but in my opinion the current J4K goal keeping range of gloves and equipment is not only the best quality they also represent the best value for money in today’s market. I had been coaching about once a week for about a year before deciding this wasnt enough for me! I decided i want to coach full time, looking around only Just4keepers could offert this to me! With the help of Ray, Paula and the J4K coaches, after 8 months i am now coaching keepers around Suffolk and Colchester between 4-10 hours a week and earning between £800-£1000 per month!! I only wish i had done this before as it is the biggest and best decision i have ever made! By putting in the time, effort and by listening to everything Ray and the coaches tell you, this can be the most rewarding decision you could ever make! Everything is put in place for you by Just4keepers! Since i have started, it has been organised so each coach now has there own page to edit and blog on the J4K website! You can also open up your own J4K store as well! Everything which J4K does is not aimed at J4K, it is aimed at helping the coaches make a life for themselves doing something they love! I have been working with j4k for 10 months and its the best decision that I have ever made! I am an ex professional goalkeeper who had to finish due to injury and I fell out with but then found myself in a job which made me work away from home week in week out and i was missing out on my son growing up. I coached a hand full of keepers every Saturday morning but was unable to spend the time to make this a new career. I then come across Ray and Just4keepers. I called Ray and from a 10 minute conversation I knew it was the way forward for me .After following all Rays advice and guidance I now coach over 50 keepers spread over 3 venues every week and I am opening my 4th venue this month. But the best bit J4K has enabled me to change jobs so I now work closer to home. I am sure if I can keep growing as I have this year i will soon be making enough money to solely focus on my coaching. When i first heard about a opportunity to become a goalkeeper coach with just4keepers and have a meeting with Ray about this i was a little bit unsure of how it could work, but after meeting Ray it felt i had known him all my life i just wanted to get out there and coach the youngsters the same day. Ray showed me the vision he had for j4k and i couldn’t turn down the opportunity to be apart of the j4k team, with Ray and his families guidance and support i now have 2 very successful classes running every week with the view to have even more. I have known Ray now for around 5 years, and during this time I have found him to be a very honest genuine guy who will go out his way to offer help guidance and advice where ever he can. His first thoughts are always towards the person he is helping, whether it be to help grow there business or just general life advise!! He has always given up both time and money to help me where he can and I know I can trust his judgement 100% in Regards the growth of my J4K business. I cannot say enough about Just4Keepers and how it has changed my life! The 0pportunities I have been given since joining J4K continually blow me away! Becoming a part of J4K has been like joining a family that I never knew I wanted much less needed. The support and interaction I get to experience every day motivates me to be a better coach and entrepreneur. Since joining J4K I have taken part in a massively successful summer camp series, had the honor to coach beside Ray Newland and Jim Leighton, start weekly J4K classes and supply my goalkeepers with top of the line J4K equipment. In January 2009 I was referred to Ray Newland at Just4Keepers. After contacting Ray I spoke over the phone a number of times and he invited me to Liverpool so that we could meet and he could explain exactly how J4K works. After a lot of research and constant contact with Ray I decided to fly to England. Ray and his wife (Paula) welcomed me into their home and were absolutely brilliant. Ray explained how J4K would change my life and that J4K it not just your average coaching company, but is a lifestyle and it would change the course of my life forever. How right he was! My name is Z Lozano, I am a J4K coach in Denver, Colorado. I am originally from the Republic of Panama. I played for the panamanian U-20 National team and Played professional in Costa Rica, Panama and Chile before I moved to the US. While in the US, I decided not to pursue a Professional goalkeeping career but instead went to college were I earned my bachelors in Psychology and then my Masters degree in Sports Science. 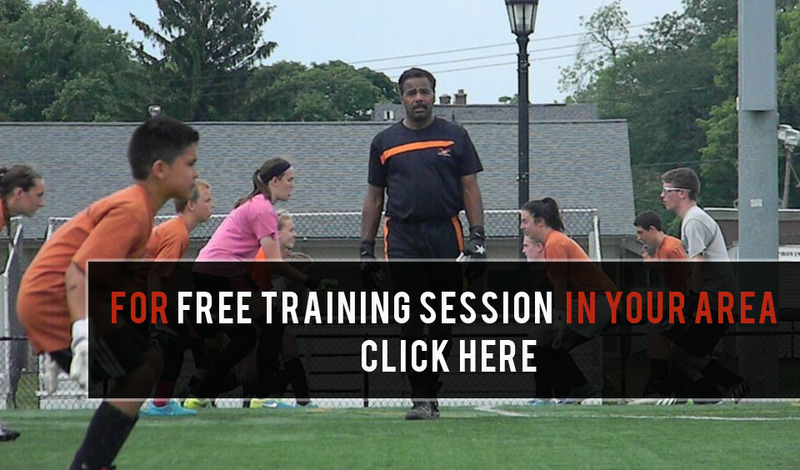 But never stopped coaching… I have been coaching goalkeepers for several years. However, I have always found myself balancing a regular job with coaching and honestly it became a bit difficult. But my passion for goalkeeping drove me to search for a better opportunity to be taken serious as a coach in my State and to make a better living as coach. During my search, I found J4K and right away saw J4K as an organization that is known worldwide with professional coaches that know goalkeeping but also J4K is an organization that have a large NETWORK around the world with other coaches and professional clubs. Furthermore, J4K helped me establish myself in Colorado as an respectable coach and a business owner. Since deciding to join Just4Keepers Ray and Paula have been of great support to me. The main example of this is whenever I call Ray or Paula they always find the time to speak to me and go through everything that I may need to know. Also the support from the other coaches has been of help. Just emailing and asking for advice from fellow J4K coaches and they get back to you ASAP. Also the way in which we are encouraged to run J4K is ideal in my opinion. Not being associated with any club is good as the kids are there first and for most to have fun, and if they develop into good keepers it’s a bonus! Everything Ray told me before I put pen to paper has been spot on and he has kept his word on everything. Before joining Just4Keepers I was running my own Goalkeeping School, which after putting a lot of time, effort and money into it, it never really took off. I only had a small amount of pupils and struggled in advertising in the right places. I spent money on leaflets and advertising but never really got anywhere. I decided to look on the Internet and came across Just4Keepers and very intrigued by their site. I could still run my own business with the help from others with business experience and also use a national business name. In my time as a Professional Football Player I have know many fly by night Goalkeeping Coaching Schools; the difference between Ray Newland and Just 4 Keepers Goalkeeping School is that Just 4 Keepers is here to stay! I have known Ray Newland since we played together at Chester City Football Club and have always found him to be honest and reliable with a infectious passion for the game. When Ray approached me to get involved with J4K I didn’t hesitate to join, the ethos behind this coaching school is second to none and is one that I firmly believe in as developing young people’s talents for Goalkeeping is important and well as introducing the element of fun alongside this development.. I have played Professional Football for 20 years and non league football for a further 8 years and have a good reputation and therefore wouldn’t put my name to something I didn’t believe in.